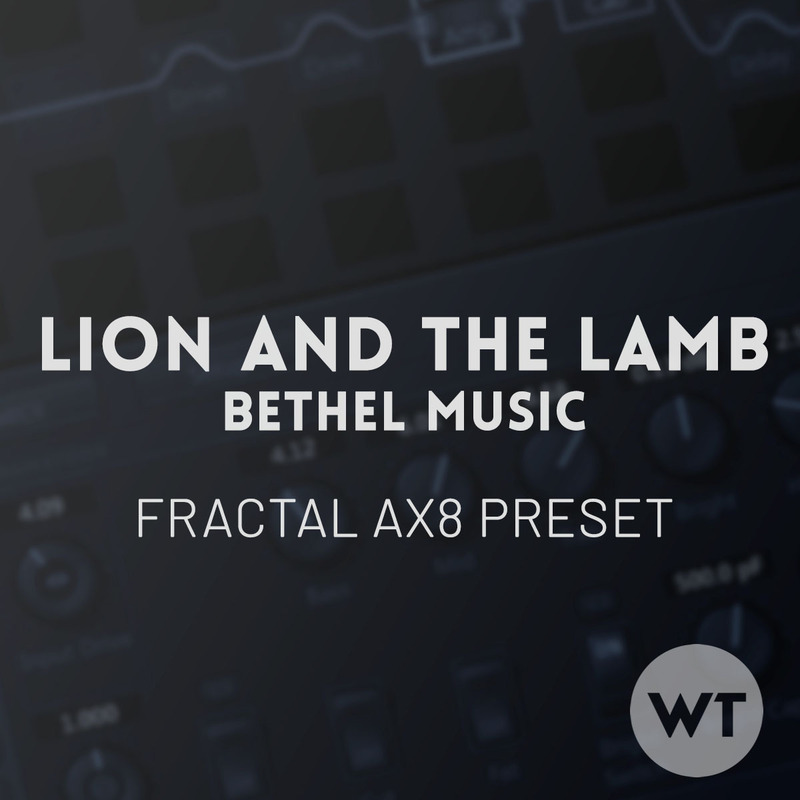 Fractal Audio AX8 Preset for the song ‘Lion and the Lamb’ by Bethel Music. Includes scenes to replicate the different song sections. The preset is stock (no 3rd party IR’s required), and includes options for both single coil and humbucker equipped guitars. Control Switch 1 (Mapped to FS4): Increases gain for amp gain OD – stacks great with the drives. Scene 1: INTRO/RIFF (mapped to FS1). Big ambient lead tone. By default, this preset is laid out with scenes mapped to the foot switches, except for FS 4, which is the control switch. FS 4 will engage CS 1 at any time, which allows you to get more gain in any scene.